Description This Port Wentworth, Georgia hotel has an indoor pool, an outdoor pool, free internet access and non-smoking guest rooms. 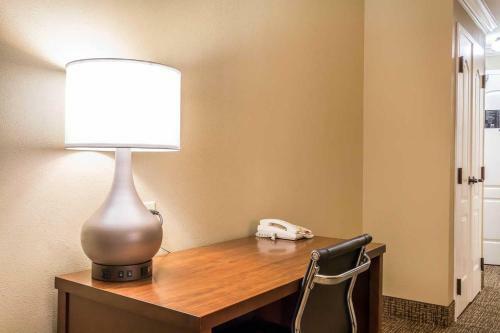 Offering free Wi-Fi complimentary breakfast flat-panel TVs and a heated outdoor pool the non-smoking Comfort Suites Savannah North is just off I-95 and within minutes of Savannah. 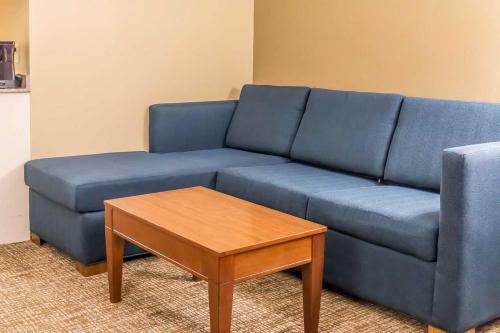 This low-rise hotel with 83 non-smoking rooms features amenities such as free high-speed internet flat-panel TVs with cable microwaves refrigerators and coffeemakers. Some rooms have jetted tubs. Don't miss out on the eggs bacon sausage and waffles at the free hot breakfast; if you're in a hurry grab a bagged breakfast to take with you. Enjoy the convenience of the heated indoor pool or work out on the cardio machines in the fitness center. Bring along the four-legged family members; pets are allowed for a fee. 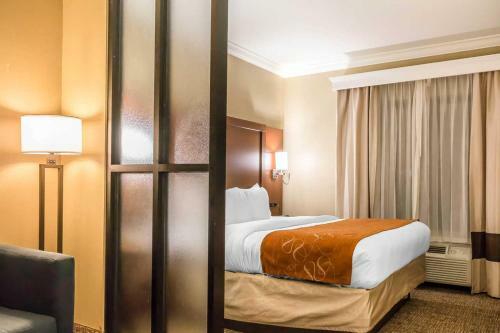 The hotel is located just off I-95 less than seven miles from Savannah/Hilton Head International Airport. 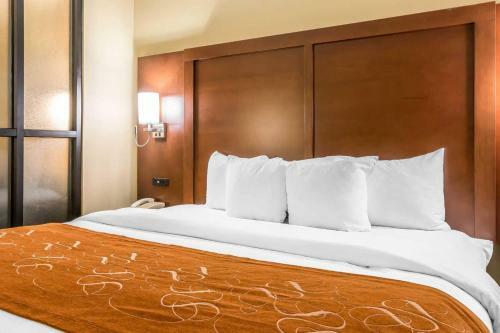 Several dining options are available within a mile of the hotel. It's about 10 miles from downtown Savannah's Riverfront historic architecture and famous fountains. Savannah College of Art and Design is about 11 miles away. Hunter Army Airfield is about 17 miles away. Tybee Island's popular beaches are about 45 minutes away by car. 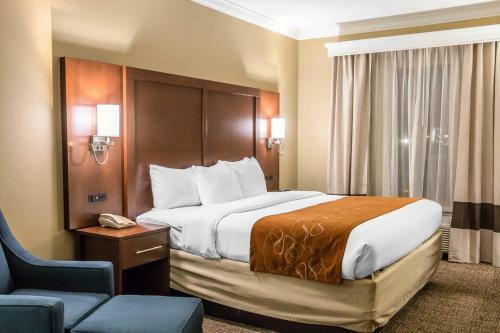 Add Comfort Suites Savannah North to your free online travel itinerary.